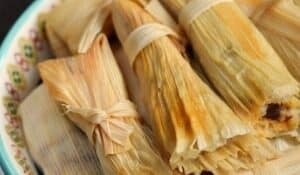 Is it cold where you are? 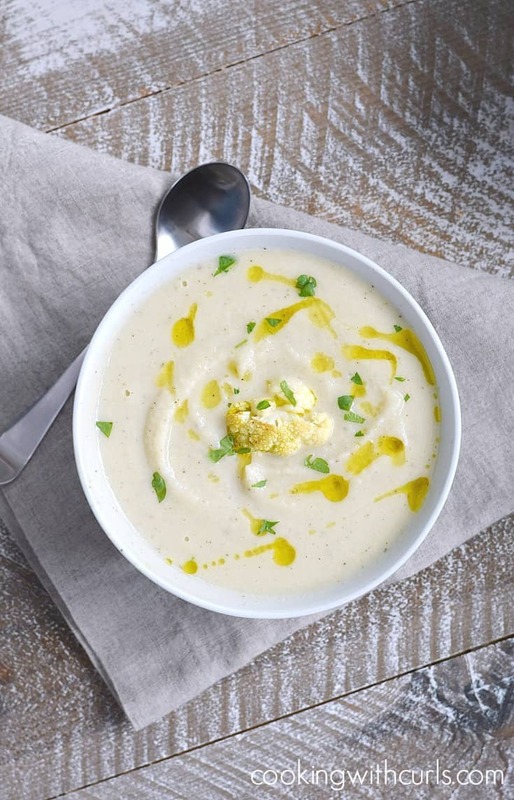 It is cold and raining here in Phoenix, perfect weather for Roasted Cauliflower and Garlic Soup! 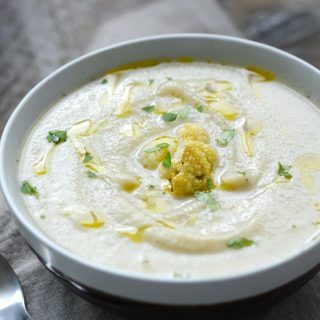 I actually bought the cauliflower for a different recipe, but this soup was calling my name. Or maybe I just had a deep desire to ward off vampires? 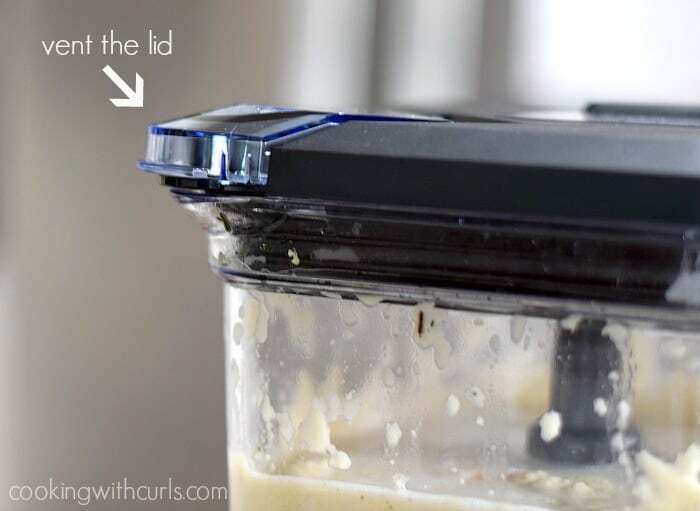 Either way, it is delicious and totally healthy…..
Preheat oven to 425 degrees. 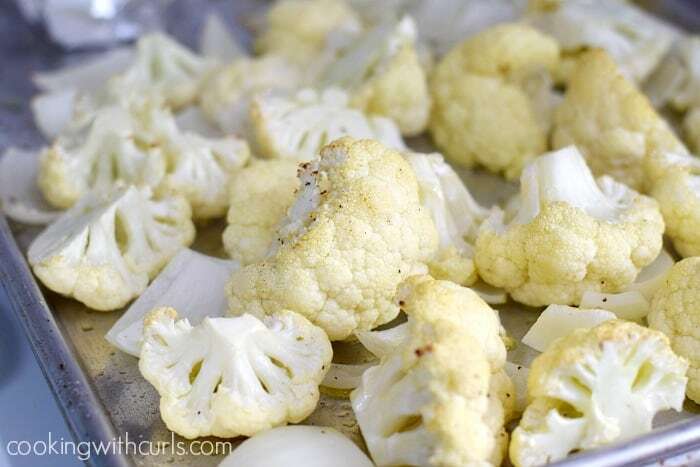 Place the cauliflower chunks and onion slices on a baking sheet…..
Place the garlic bulb on a piece of foil, drizzle with oil, season with salt and pepper, and place on the baking sheet…..
Place in the oven and bake until the cauliflower is golden brown, about 30 to 40 minutes….. 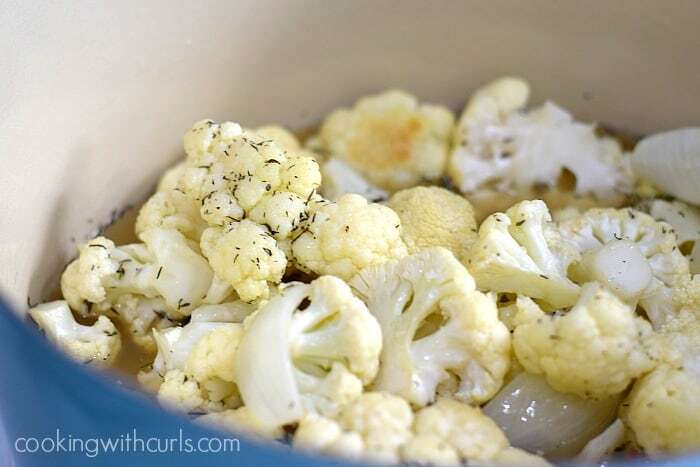 Remove from oven and place the cauliflower and onion slices in a Dutch oven or pot. 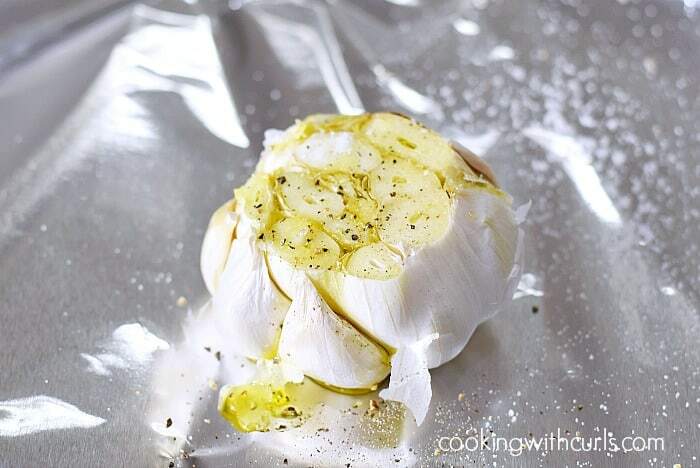 Return the garlic to the oven. 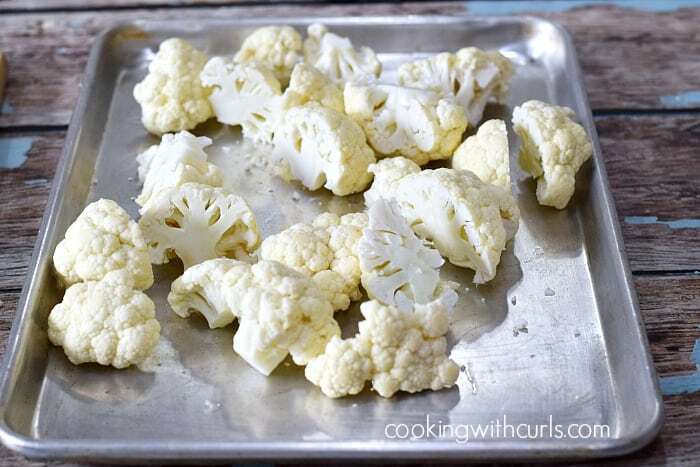 **Reserve a few small pieces of cauliflower for garnish**. Add the broth, thyme, and cayenne pepper to the pot. 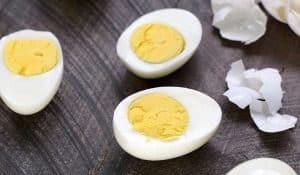 Bring to a boil, then reduce heat to medium-low. 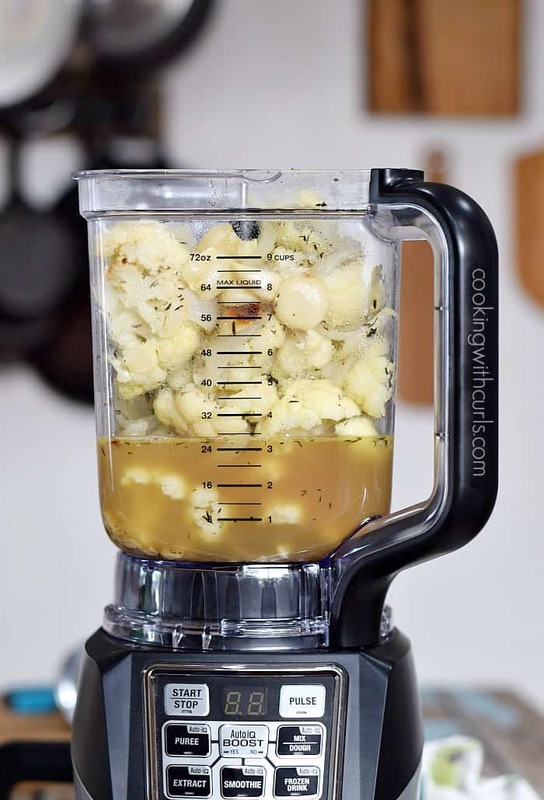 Simmer for 10 minutes…..
Gently ladle soup into a blender, add the roasted garlic and puree until smooth*…..
Or add the garlic to the pot and blend with an immersion blender until smooth. Test soup for seasoning. 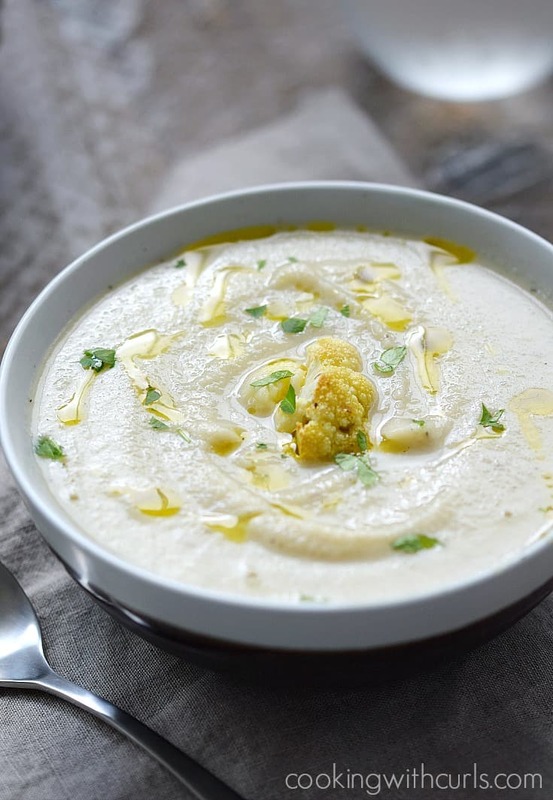 If soup is too thick, add cashew milk to thin it out. 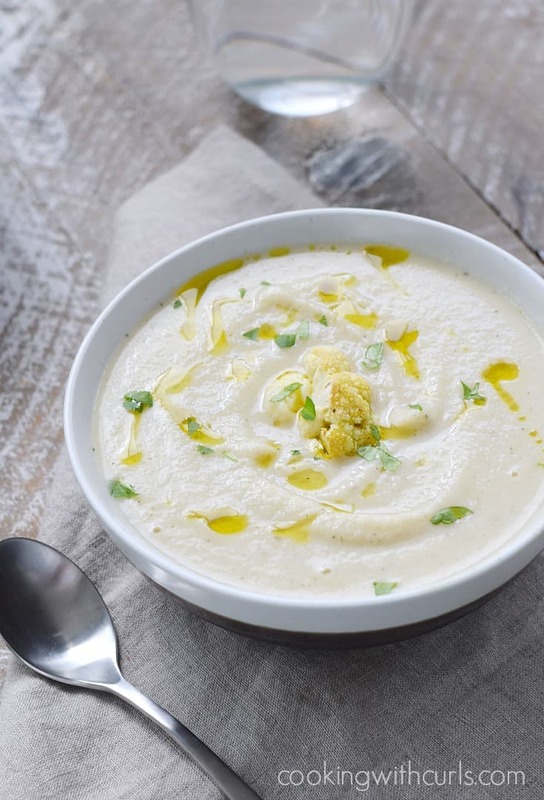 Drizzle soup with olive oil and small pieces of roasted cauliflower…..
Maybe this is the most stupid question. But. 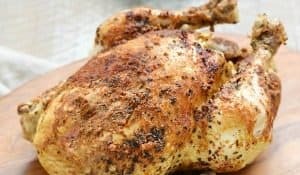 Do you blend the garlic with the skin on?